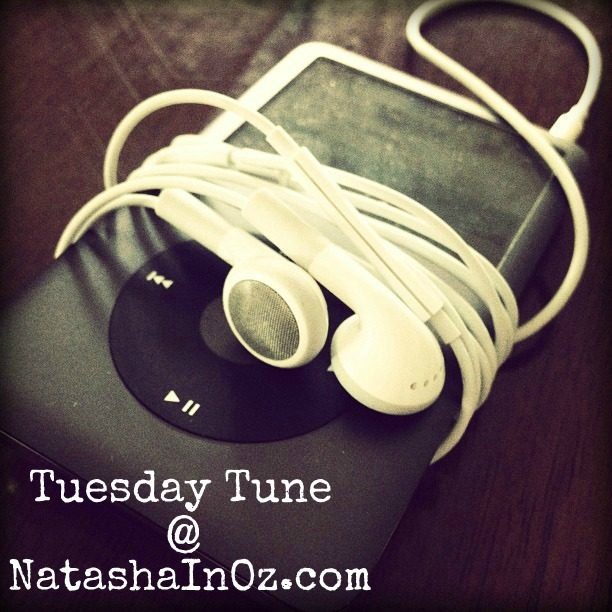 Welcome dear friends to the first #TuesdayTune Linky Party for 2011! It seems like forever since I have posted a Tuesday Tune. He volunteers to do his homework without being told, runs to his classroom every morning after being dropped off and, to top off the week, he received an award for enthusiasm! This week is also going to be a busy one on the home-front. After being flooded three times, we have decided to rip out all of our carpeting and to tile the whole bottom floor of the house. We will be shifting furniture and having a big clean up this week and then the tiler arrives on Thursday. I am so excited as I have been waiting for about 10 years to get the downstairs area tiled! I will show you the pictures of our family room metamorphosis as soon as I can. Now, on to this week's #TuesdayTune! Have you heard Alexandre Desplat's beautiful music? Alexandre Desplat is a one time Grammy-nominated, two time Golden Globe-nominated, four time Academy Award-nominated, and four time BAFTA-nominated French film composer. Desplat was born in Paris to a French father and a Greek mother who met at the University of California, Berkeley. After their marriage, they moved back to France, where Alexandre was born. At the age of five, he began playing piano. Desplat has composed extensively for films, in France and in Hollywood—scores and incidental music for over 100 films including The Queen (directed by Stephen Frears and starring Helen Mirren) which got him his first Academy Awards nomination in 2007. He also won the 2007 Golden Globe for his score to The Painted Veil.He also wrote the music for MR. MAGORIUM'S WONDER EMPORIUM, THE GOLDEN COMPASS and for Academy Award winner, director Ang Lee‘s film LUST CAUTION. Recently, Desplat has composed music for Anne Fontaine's Coco avant Chanel based on the life of designer Coco Chanel; Julie & Julia directed by Nora Ephron; Fantastic Mr. Fox, directed by Wes Anderson and based on the novel by Roald Dahl; Twilight - New Moon, directed by Chris Weitz; Harry Potter and the Deathly Hallows Parts 1 and 2; Roman Polanski's The Ghost Writer (film) and The King's Speech which earned Desplat his fourth Oscar nomination. I would say that the King goes through quite a metamorphosis throughout his therapy! He learns about himself, about his role in society and he learns about the gift of friendship. I had a hard time deciding which song to share today so I decided to post two! The first piece is called The King's Speech and the second is called The Rehearsal. I hope you enjoy listening to them both! I sure do hope that Desplat wins the Oscar for the beautiful music in what has become one of my favourite movies EVER! Have you posted any songs on your blog recently? If so we would love it if you could join in with Tuesday Tune and share it with us! If you would like to link up a song, please just add the url of your particular blog post that you would like us to visit to the Linky tool below. Don't forget that you can link up a song from any of your posts, old or new and please feel free to use the button below in your post to help spread the word about this weekly musical meme. Thank you so much for joining in with my first #TuesdayTune for 2011! I hope you will have time during the week to come back to visit the other bloggers who have linked up. Before I go I just want to invite you to join in with a Special Valentine's Edition of Tuesday Tune on the 13th. It would be wonderful if you could share your favourite Romantic Valentine's Day Song! It is definitely on my list of movies to see when it is out on video. Thanks for all the information and the beautiful music. I should say I have heard nothing but praise from it from the people who've seen it. Natasha, both are lovely. I agree, he should win the Oscar. Thanks for sharing this gorgeous music. I love this movie! The music was wonderful. What a terrific idea to feature music. The movie looks fantastic and the music is beautiful. I always like your instrumental choices. They make me remember that I enjoy this type of music even if it's not my first pick. Hi Natasha. I'm so glad you enjoyed The Kings Speech so much. I did a review of it on my blog a week ago. I loved it, and could have watched it all over again. In my review, I also mentioned the music from the film, because I thought it was wonderful! It was lovely to be able to listen to it again here. I love them both Natasha! Desplat's music is so beautiful. I am anxious to see this movie, it opens in Paris on Wednesday, I am a sucker for any period film. Beautiful! He should definitely win an Oscar! I can't wait to see this movie! This is definitely on my "to see" list! Hi Natasha, thanks for giving me this chance. I joined with a very popular and timeless Italian singer: Mina. She's got a great voice!